Re-live gentler days of a simpler life on the island. 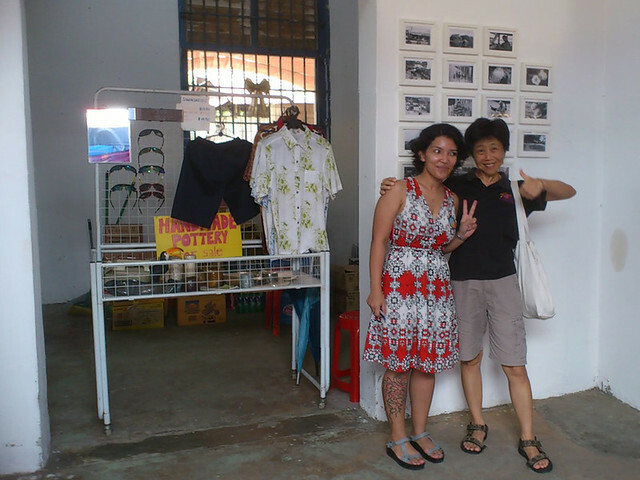 Thank you to Uncle Lim for hosting the exhibition at his shop. 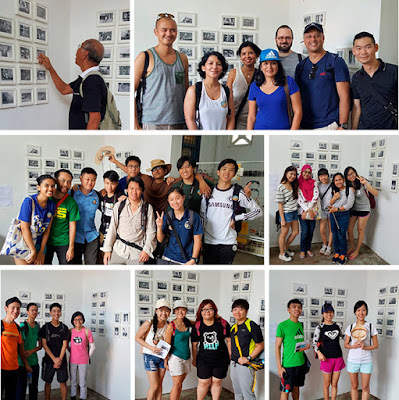 Juria presents "Island of Memories - Pulau Ubin" an exhibition of 51 nostalgic photographs - personal and found - of things and ordinary people on the island from the past till present day. Juria, a visual artist, uses photography to explore themes of memory, identity and place and has several honourable mentions at various photography awards. 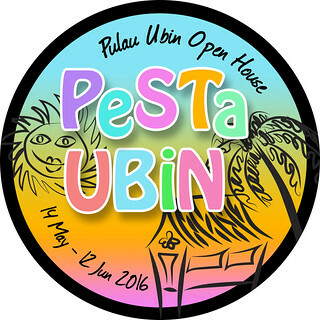 The exhibition will be at Uncle Lim's shop in Ubin Town, a place full of history of its own. 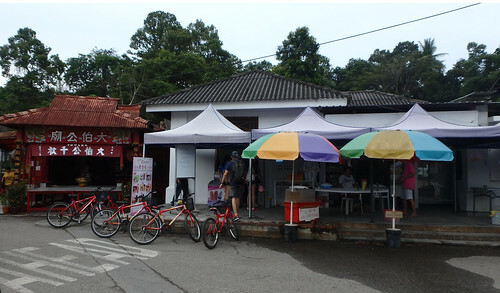 Uncle Lim's shop has colourful umbrellas and is opposite the Wayang Stage, next to the little red temple in the centre of Ubin Town, about a 3-minute walk from Ubin Jetty. 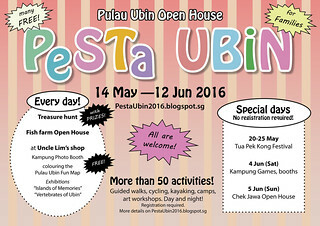 Dates: 14 May to 12 Jun -- every day of Pesta Ubin! We had fun setting up the exhibition! 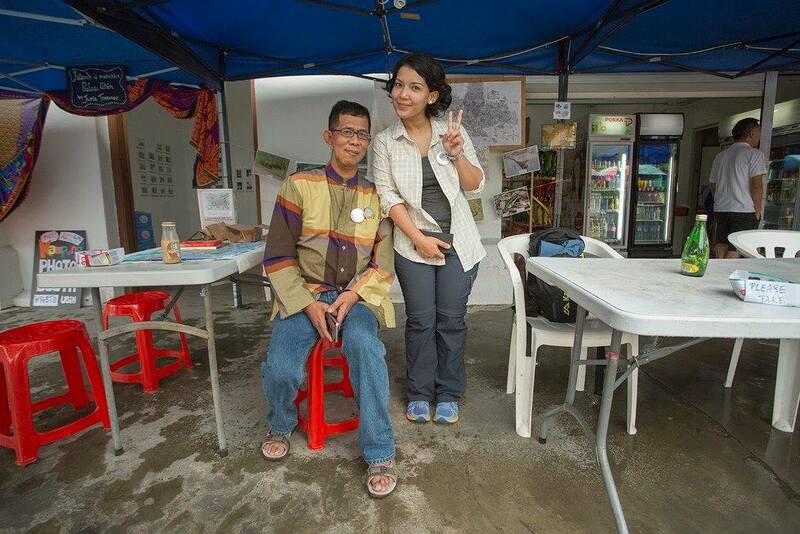 Thank you to Marcus and Vanessa for helping to set up and the many well wishers for stopping by. 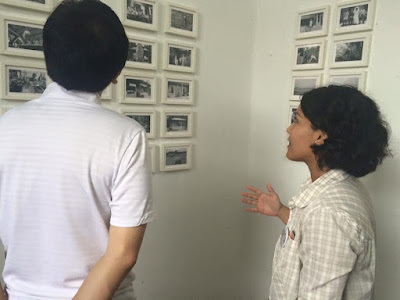 Some visitors recognised the people in Juria's photos! Also popular with the Kampung Photo Booth. Minister Lawrence Wong and Senior Minister of State Desmond Lee drop by the exhibition on 4 Jun (Sat). 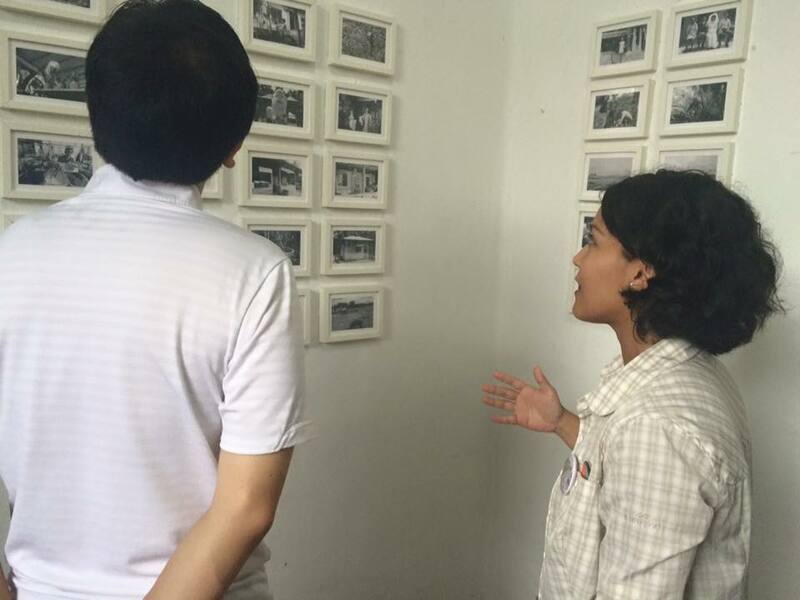 Thanks to Mohammad Juhari for taking photos of some of the many people who visited the exhibition! 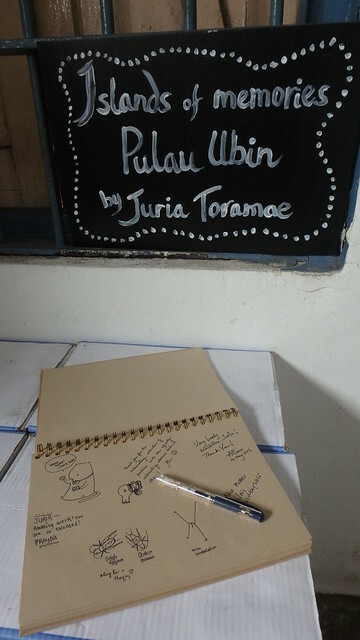 Please leave your thoughts and messages in the Guest Book. Here's some of the kind and encouraging comments in the book. Great initiative and lovely photos! Definitely coming back with friends! Great to see how Pulau Ubin was like 40 years ago. Lovely memories. The collection should expand. We love it. Thank you for showing me the history that might be forgotten. It’s fascinating to see these photos. It’s like stepping into the past. Thanks Juria for putting these photos together. 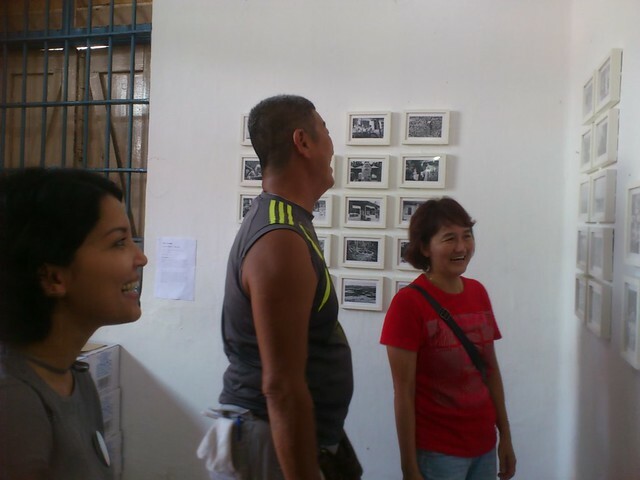 Nice to see the photo exhibit here. Especially the wedding photos. It’s so rare. Keep up the good work. Thank you for the interesting collection of pictures with the equally interesting stories behind them. and other happenings at Uncle Lim's shop.